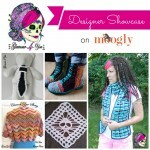 It’s time for the March Designer Showcase! 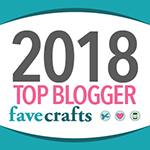 Once a month I have one of my favorite designers share a bit about themselves, and then I follow it up by sharing my 5 favorite free patterns that they’ve designed! 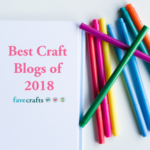 This month I’m excited to share some things from the delightful Danyel Pink – the blogger and designer behind Danyel Pink Designs! Hello! My name is Danyel​, and I’m the owner/designer of Danyel Pink Designs​. 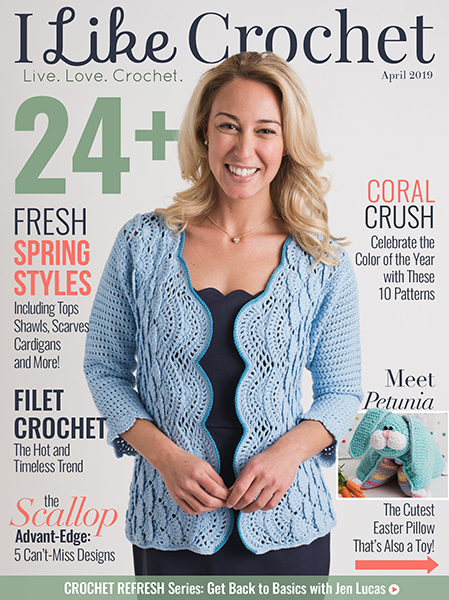 I’m ​the​ SAHM​/WAHM​ of 3 ​amazing children, and a proud military wife.​ I’m also the Editor-in-Chief of Happily Hooked Magazine.​ Some of my designs have been published in books, magazines, calendars, and by Red Heart Yarns. I was also nominated for a Flamie in 2014. 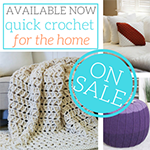 I enjoy many hobbies, but my main addiction is crochet.​ My grandmother taught me to crochet when I was about 10 years old, and I made 2 doll blankets at that time. I still have them! I didn’t pick up a hook again until 2007. My mother-in-law was crocheting an afghan while we were visiting her house, and I asked her to “remind me” how to do it. She refreshed my memory on how to hold the hook and yarn, sent me home with an H hook and a how-to book, and I took it from there. 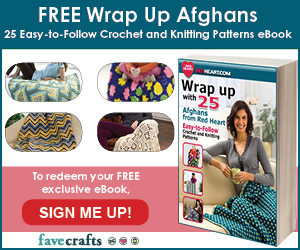 Crocheting helped me through a difficult pregnancy, during which I made afghans for all my friends. After that, I started donating hats to various charities, and that’s when I truly fell in love with crochet and began to create my own designs. Danyel’s designs are colorful and stylish! Danyel has many beautiful patterns for sale, but lucky for us, many are also free! 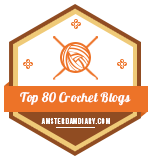 Be sure to check out all of Danyel’s beautiful patterns on Ravelry! But right now, let’s look at these 5 fab freebies, which I’ve highlighted here today! Thank you so much for being in the designer showcase Danyel! 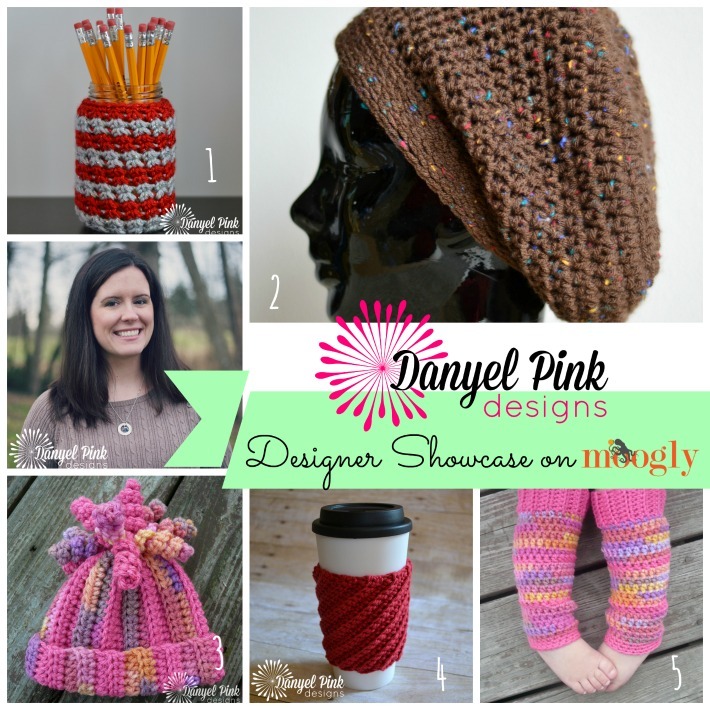 5 Free Crochet Patterns on Danyel Pink Designs! School Spirit Jar Cozy: Such a great home decor project! Super Slouch Hat: A fab fashionable look! 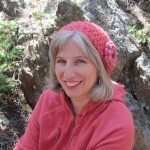 Delaney Hat: Fun and funky, and the spirals are built right in! Genius! Crooked Coffee Cozy: Extra grip built right in, and big enough to hold on tight! Baby Legwarmers: Super cute, and practical too! 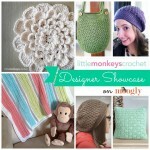 Rebecca Langford of Little Monkeys Crochet: Designer Showcase! 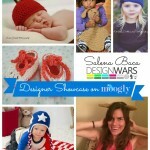 The Impressive Salena Baca of Design Wars: Designer Showcase! Ann Mancini-Williams of Glamour4You: Designer Showcase!